Nintendo will launch the Wii Mini across Canada on December 7th, it has been announced. 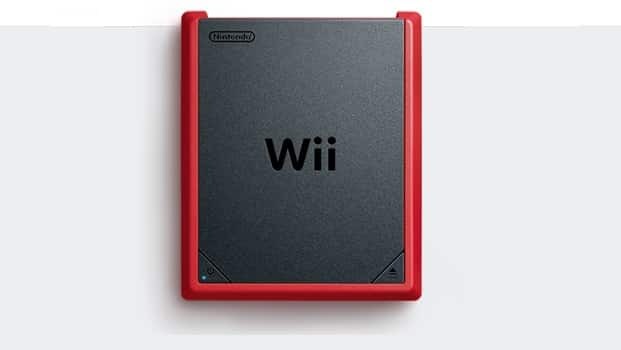 Smaller than the original Wii, the miniscule system strips out Internet capabilities and GameCube backwards compatibility and comes in a striking matte black finish with red border. Set to be have a recommend retail price of $99.99, it comes with a red Wii Remote Plus and Nunchuk. “There are games in the Wii library for every type of player,” commented Ron Bertram, Nintendo of Canada’s vice president and general manager. As for whether it will hit retail in other countries remains unclear, with the press release stating that it is set to be “available exclusively in Canada during the holiday season” with no further confirmation.